At the time of writing this article, a Google’s Project Loon balloon is in flight, reported at 60,000 ft (18km) up in the sky, somewhere near Nkawkaw in Ghana, thanks to a live feed from FlightRadar24. I am fond of once in a while tracking what’s flying in Ghana’s airspace. And lo and behold, I see this Project Loon flight with a “No Callsign”. 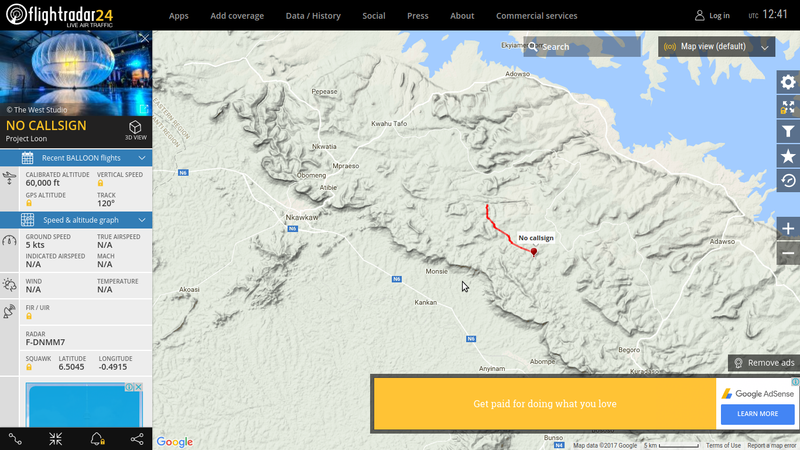 UPDATE: The balloon has been flying close to Akosombo as at 16:00 GMT, 25 Dec. Since there’s been no public word on this flight, I guess it was supposed to happen under wraps. However, since almost nothing hides from the peek of Flightradar, there we go. It was the only item in Ghana’s airspace at the time of writing this piece. Ghana has a relatively boring airspace, so any ‘foreign’ movement is easily spotted. 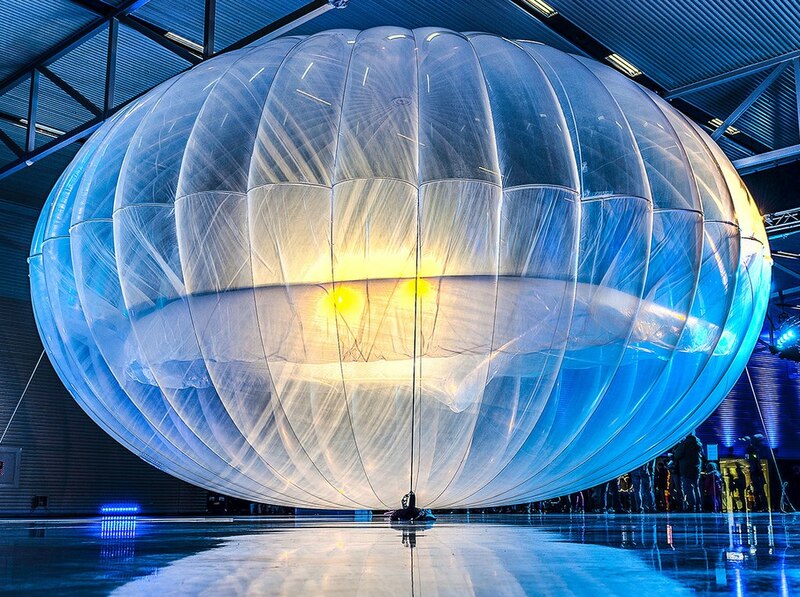 In case you’re wondering what Project Loon is, think of it in the basic way as Google’s attempt to bring good internet access to regions of the world that lack access. How would one get connection from this flying balloon? Visit x.company/loon to learn more about the technology behind the Project Loon. Anyone living near the area shown in the map above, are you able to get any signals from the loon in the skies?